Pepper combines different ball delivery methods, striking and fielding. 1 batter and 4 dispersed fielders. 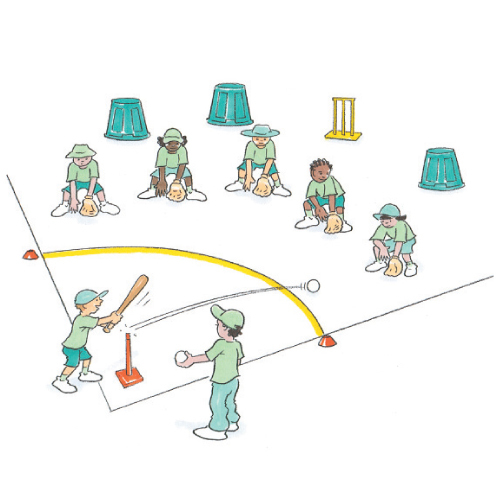 The batter hits the ball off the batting tee, aiming for the targets behind the fielders. The fielders field the ball. What do you need to watch before you hit the ball? Where can the fielder stand to stop the batter from hitting the targets?